Let’s image you are selling products with various sizes (such as clothing and footwear) in a Magento 2 website, and you haven’t had any guide to size measurement. There will have so many queries definitely on your customers’ mind when they pick product size: Is it too small? Oh, It seems so long for me! Will it fit my body? How long is XL size?… The hesitation of customers may definitely make the conversation rate decrease. 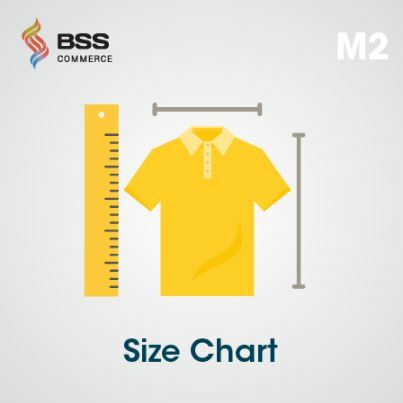 Therefore, Magento 2 Size Chart extension by BSSCommerce is the perfect solution for this case by allowing you to create sizing charts and add to products without difficulty. 1.1 Does Magento 2 Default Support Size Chart Feature? 1.3 How can BSSCommerce Size Chart for Magento 2 Extension Benefit You? 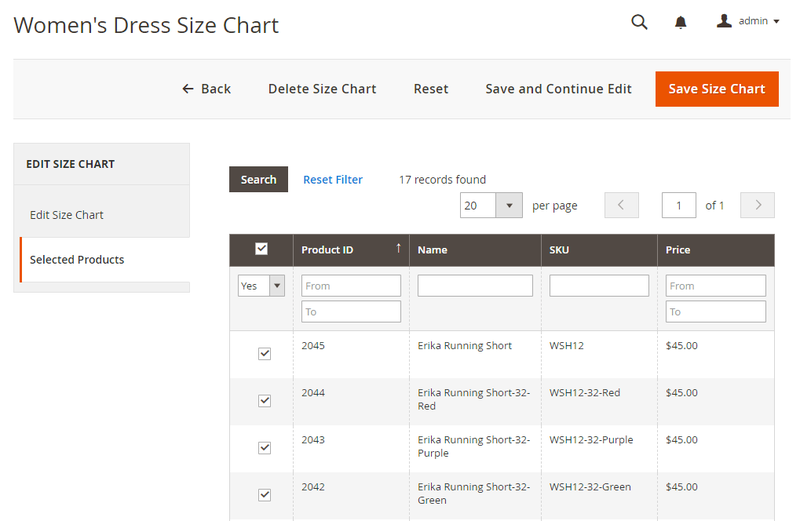 Magento 2 Size Chart extension let you create complete size guides for products. You can add and edit any content such as a clear table, visual pictures and description text, and more to display on the size chart. Then, the created template of size chart will be assigned to as many as items you want. Besides, the flexible configuration provides you more than one options to present sizing charts on the product page. They can be shown smartly under Add to Cart button, as a popup or as a product tab. Does Magento 2 Default Support Size Chart Feature? In default Magento 2, there isn’t available function that allows you to create and add size charts to products. Size Chart extension for Magento 2 by BSSCommerce helps you solve this limitation at ease. 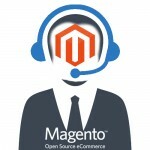 How can BSSCommerce Size Chart for Magento 2 Extension Benefit You? Magento 2 Size Chart is an essential tool for all e-commerce merchants especially fashion sites or cross-country stores. You can design various interactive size charts that are unique and suitable for any product types. The user-friendly presentation can also impress your customers well. Showing the sizing options guide makes products informative to support customers in making purchase decisions. They can surely mean the size fitting them perfectly and order products without hesitation. As we all know, satisfying customers by the qualified products is always the best way to increase sales and reduce returns remarkably. In the admin panel of the module, you can create and manage size charts; configure the general settings as well as display settings. First of all, you need to explore the extension configuration to enable or disable it and customize the general settings. You can set the default display of all size charts, which means they’ll be presented based on this selection if you don’t set for specific one. The popup link also can be designed according to your need by editing the text, set text colour and add icon along with the link. 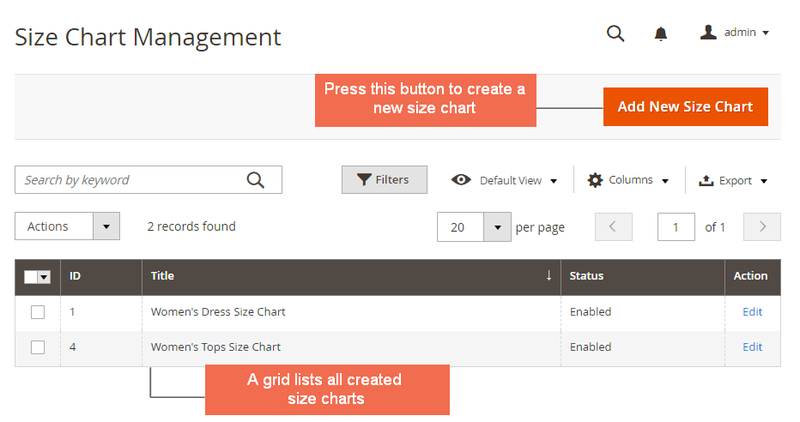 Going to the Size Chart Management page, you are able to create and manage all sizing charts. This grid lists all created size charts and tracks the current status of each. You can conveniently explore a size chart and edit it, or mass-select/ delete them. 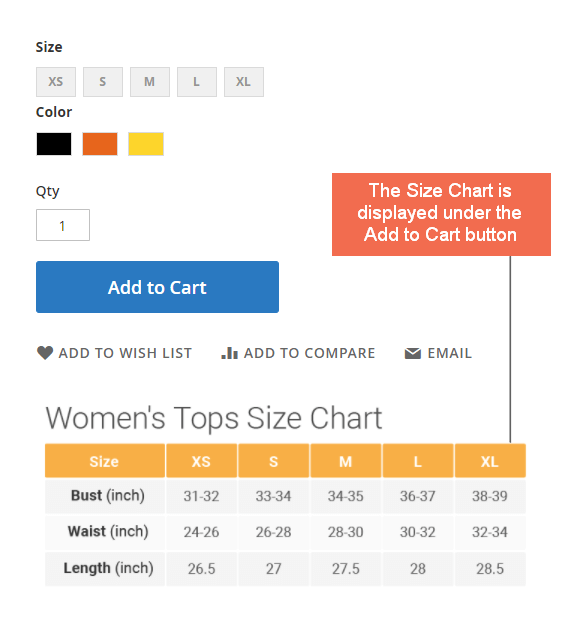 To create a new size chart, please click on the Add New Size Chart button. There are two tabs on this page. 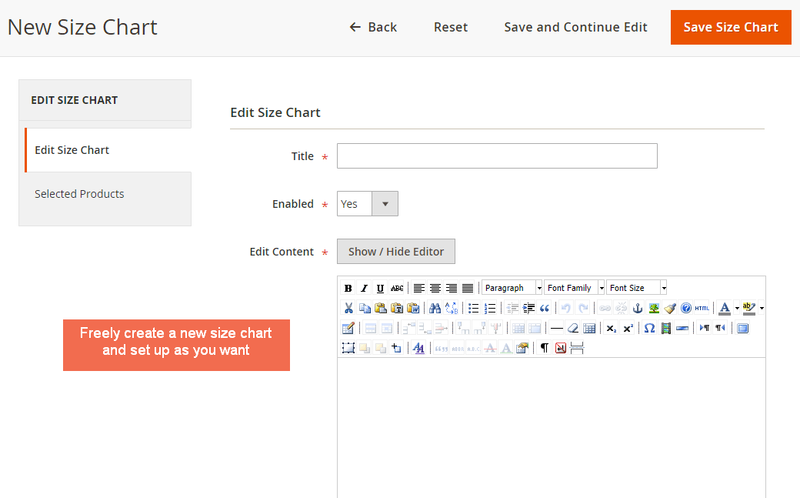 In the first “Edit Size Chart” tab, you can create your size chart content and set up. The title application and status selection are required settings for a new size chart template. With the Wysiwyg editor, you can flexibly add the table content of size options, include eye-catching images and detailed description which explain the measurements and instructions for your customers, or all the other necessary parts. After that, you need to determine how it will be displayed. 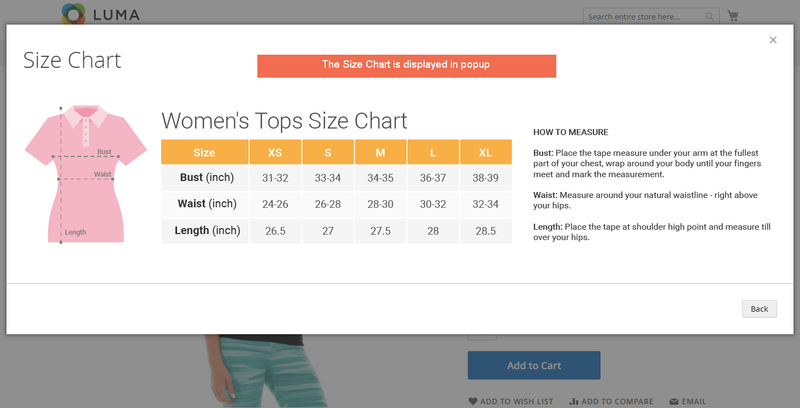 The block including three options: “In popup”, “On Information Section”, and “Under Add to Cart Button” allows you to multi-select the ways your size chart is shown on the product page in one, two or all three positions. 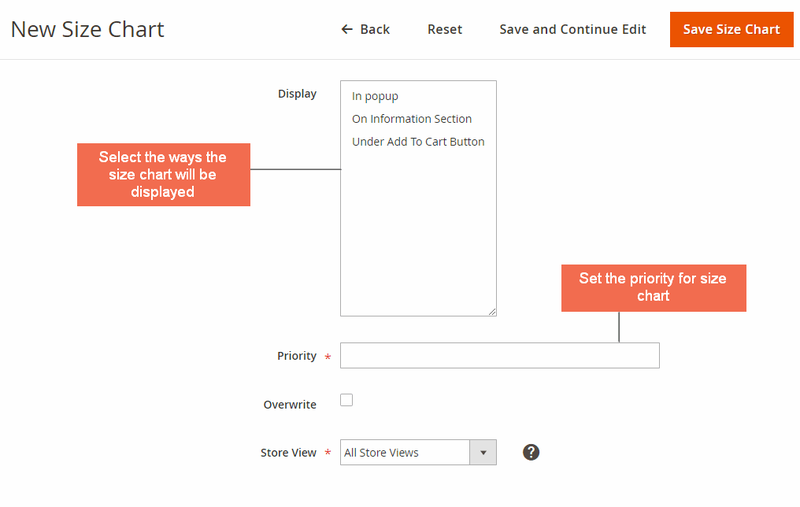 Because one product must be added one size chart, you need to set the priority for each of them to meet this requirement. In case you want a size chart to promptly become top-priority no matter what the priority it is, you can check on the Overwrite box. 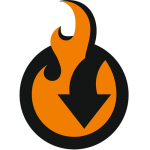 But please notice that it is the temporary setting because the overwrite will be restored automatically after you save the size chart. Additionally, you can restrict to enable the size chart in specific store views or all. In order to assign the size chart to products, please press the “Selected Products” tab. In the product grid, you can sort out necessary items by ID, name, SKU or price to attach the size chart. There is another way to add size chart to a product. A new attribute “Size Chart” including all size guides is automatically added to each product edit page for you to select the one. Of course, you can manage this Size Chart attribute like others in the admin panel. When you complete settings in the backend, you can take a look at the frontend where product size charts are displayed for your customers. 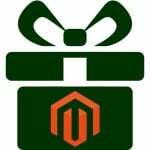 With the detailed description above, no one can deny that Magento 2 Size Chart extension is the best sizing solution for all Magento 2 stores. The useful size guides help you improve customer experience to boost up sales. Thus, you won’t be worried about returns or to supporting customers anymore. You have to pay only $59 for the Community Edition and $159 for the Enterprise Edition to install BSSCommerce Size Chart for Magento 2 extension for your site. It’s the reasonable price for a functional module with an outstanding support policy.